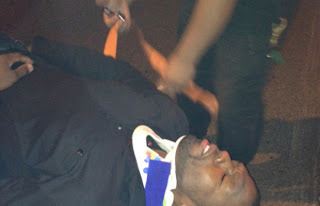 50 cent was rushed to a Queens, N.Y. hospital last night following a collision with a Mack truck apparently rear-ended the rapper's SUV. The vehicle nearly flipped over and the driver was also injured. The Mack truck driver told police that he lost control after his load shifted. 50 is reportedly doing fine following the accident. 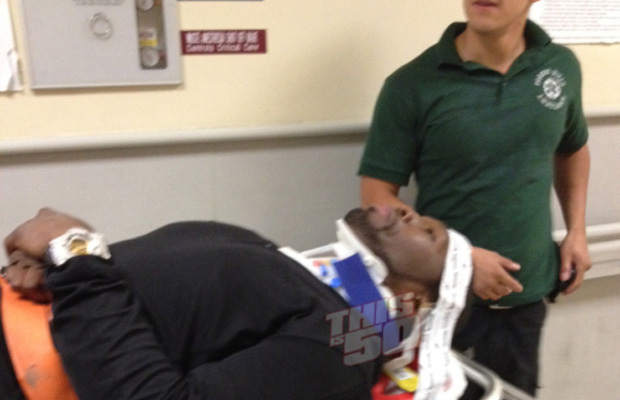 Get well soon 50 cents.